Polyknit with semi-matte finish. 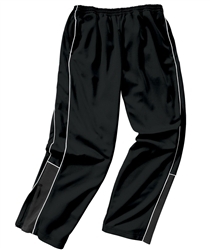 Pant features tri-color design (two-color option available), elasticized waist & zippered pockets. Open hem with zippers for easy on/off.